When executed from a halt, all steps and marchings begin with the left foot, except right step and close march. 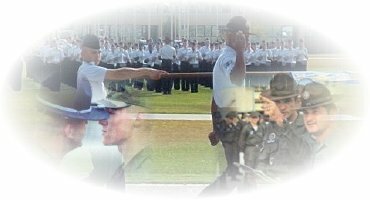 Both the preparatory command and the command of execution are given as the foot in the direction of the turn strikes the ground. 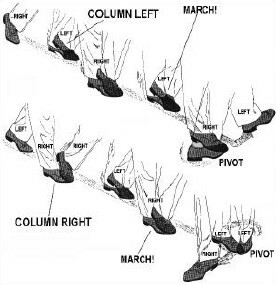 For units no larger than a flight, the preparatory command is normally given as the heel of the left (right) foot strikes the ground, and the command of execution is given when the heel of the left (right) foot next strikes the ground. For units larger than a flight, time is allowed for the subordinate commanders to give appropriate supplementary commands. The pause between commands is three paces.